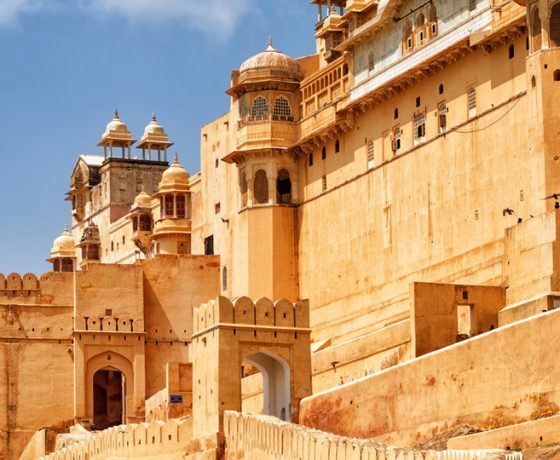 A Luxury Tour of India: to the Golden Triangle & Beyond invites you to explore the vibrant cities of Delhi, Agra and Jaipur (otherwise known as India’s Golden Triangle), as well as the holy river Ganges in Varanasi, the stunning Golden Temple in Amritsar, and the bustling metropolis of Mumbai. Not for the faint-hearted, by day your every sense will be completely immersed in the bright colours, sounds, tastes and smells of India, whilst by night you’re transported to a world of utter comfort, luxury and style by experiencing a hand-picked selection of the finest luxury hotels in India. Combined with the knowledge, expertise, and professionalism of our friendly guides and drivers, on this luxury tour of India you’re in for a truly unforgettable, eye-opening journey, all whilst travelling at a pace comfortable to you and with every detail designed around your personal tastes. Almost all stops are purposefully connected by flight, meaning less time on the road and more to soak up your spectacular surroundings. Your luxury tour of India kicks off on arrival in Delhi, where you will be met by a member of our team at the airport and chauffeured to the stunning Lodhi hotel. Previously part of the Aman group, the Lodhi is arguably the finest hotel in New Delhi and is tucked away in a busy but green area of the capital, close to the Lodhi Gardens of which it takes its name. The atmosphere here is cool and hushed; the décor is sleek and minimal. Rooms are huge and come with their own private plunge pool. 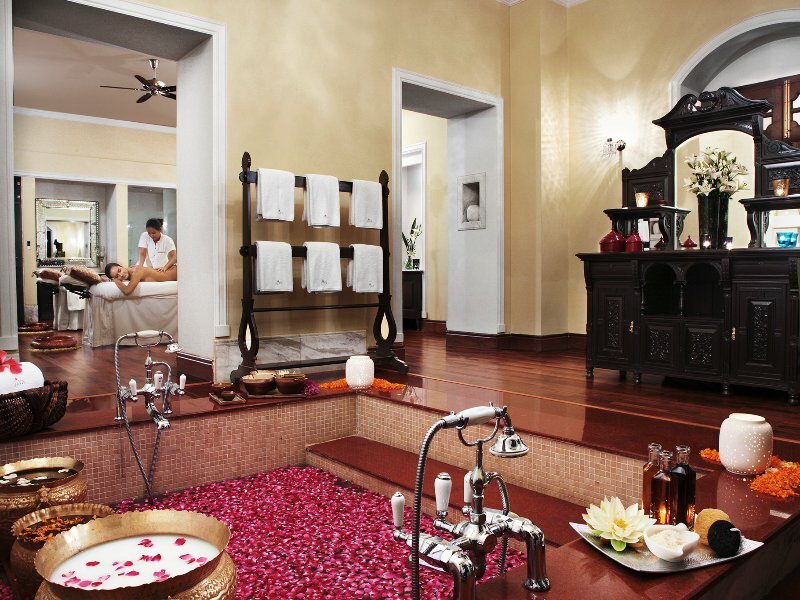 Those who appreciate history would be happier at the Imperial, or for total glamour the Leela Palace. 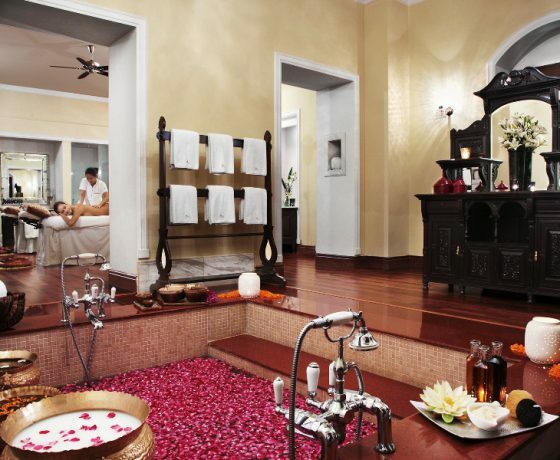 The Lodhi, on the other hand, offers understated luxury (besides the private plunge pool in each suite!). The rest of the afternoon is yours at leisure to rest, settle in and recover from your flight, though depending on the time you arrive if you’d like to begin exploring your chauffeur is always on hand. For dinner, we’d recommend dining in-house at the Lodhi’s award-winning Indian Accent, which just so happens to be India’s best restaurant and offers a delicious modern twist on Indian classics. A privately guided tour of the capital today will begin in bustling Old Delhi, as you’re whisked through Chandni Chowk’s souk-like bazaars on a walking tour, followed by the Jama Masjid, India’s largest mosque, built in the 17th century by the same Mughal emperor who constructed the Taj Mahal. In the afternoon, we’d recommend continuing to India Gate, Humayun’s Tomb and the Qutab Minar. The sights we’ve recommended here are merely a suggestion and you’re welcome to tweak the schedule with your guide on the day to best complement your interests. The third day of your luxury tour of India flies you to Amritsar, in the heart of the Punjab and home of the dazzling Golden Temple, for a two-night stay. 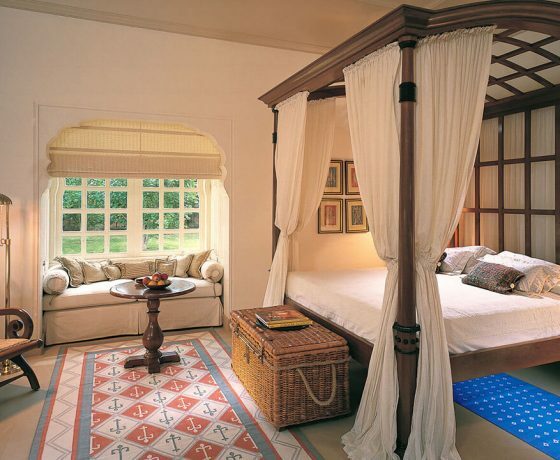 Upon landing, a representative will be waiting to greet you and accompany you to the Taj Swarna. Here, there’ll be a while to rest and relax. The brand-new Taj Swarna (meaning golden) opened its doors in early 2017 and is strategically located in the heart of the city. With its high ceiling and glass panelled exterior, the lobby at Taj Swarna exudes warmth and elegance, with design elements drawing inspiration from the local Amritsar craft and culture, as well as the famous nearby Golden Temple. Later this evening, you’ll be met by your guide to explore the spectacular Golden Temple at night, during the Putting to Bed ceremony. A unique and colourful ceremony, this daily ritual of putting the Holy Scripture to bed is a sight not to be missed on a visit to Amritsar. The temple is home to the Adi Granth or Original Holy Book which is a collection of hymns of the great saints. The book is a focus of devotion and during the day is kept in the Hari Madhir Sahib and is returned to the Akal Takhat every evening at around 9.15pm in winter and 10.15pm in the summer. The Putting to Bed ceremony was the highlight of our recent stay in Amritsar, you can read more about it by clicking here. Return to the Golden Temple this morning for a more thorough exploration. Your guide will show you around the main area of the temple and explain the history and layout including the vast dining halls where all visitors, regardless of their religion, are invited to eat together. Perhaps the most incredible part are the kitchens run by volunteers, you will see vast cauldrons full of dhal, groups of ladies rolling out chapattis, meanwhile, the noise in the background is the endless washing of plates. Later pay a visit to Jallianwala Bagh, a memorial to more than 1000 demonstrators who were killed or injured when the British, under the command of General Dyer, opened fire on them in 1919. To end the day, you’ll head out to Wagah, a village divided in two at Partition, where the daily closure of the border takes place with great pomp and ceremony. Indian border guards in khaki and Pakistani border guards in dark green march, bark orders and lower their respective national flags in a symbolic stand-off, watched by orderly crowds of thousands waving national flags. There is much partisan cheering in the grandstands as the gates clang shut for the night, to be formally opened again the next day. The next destination on your luxury tour of India is Mumbai, formerly known as Bombay, where you’ll be staying at The Oberoi. 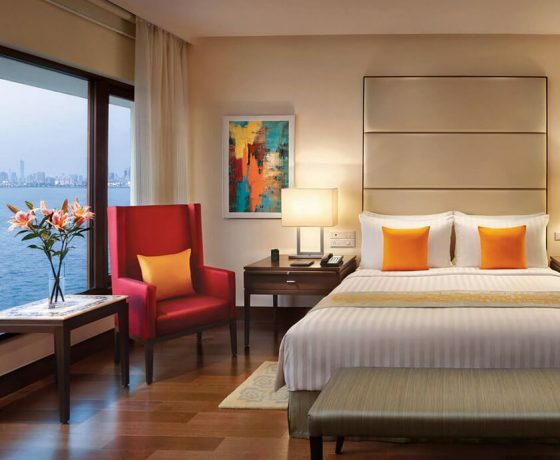 Nestled on Mumbai’s famous Marine Drive, the Oberoi affords wonderful views of the city and the Arabian Sea. 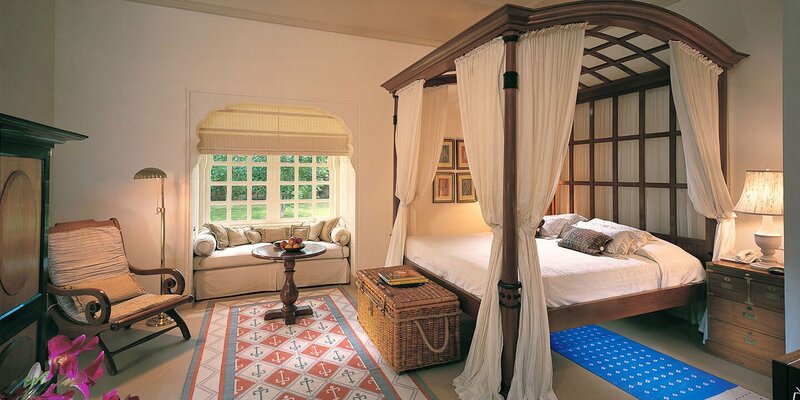 The Oberoi is one of the finest hotels in this bustling metropolis and the rooms are superbly equipped. We’d recommend a drink in the bar overlooking the bay; it’s a favourite with local jazz aficionados. Exploring the best of bustling Bombay today you’ll begin with a ferry ride to the fascinating 8th century Elephanta Caves, home to an 18-foot statue of Lord Shiva. Continue into the afternoon to explore colonial gems such as Victoria Terminus, Flora Fountain, Horniman Circle and the High Court. Pass through the Hanging Gardens and the Jain Temple to end your day at Chowpatty Beach, or take in the buzz and excitement of Chor Bazaar. Board a direct flight to Varanasi this morning. Upon landing, you’ll be chauffeured to the Taj Nadesar Palace, where there’ll be a few hours to relax, settle in, and enjoy your surroundings. Nestled in the heart of this bustling city, amongst mango orchards, marigold and jasmine fields, lies the Taj Nadesar Palace. Built by the East India Company and acquired by Maharaja Prabhu Narain Singh in the 19th century, the palace is named after goddess Nadesari, whose shrine is located in the front of the palace. Set to be a favourite on your luxury tour of India, each of the ten luxurious suites is generously sized, with large windows overlooking the gardens and spacious bathrooms in cool white marble. Alternatively, to really take in the incredible scenes that take place along the ghats, stay at Brijrama Palace – a charming boutique hotel right on the banks of the river. 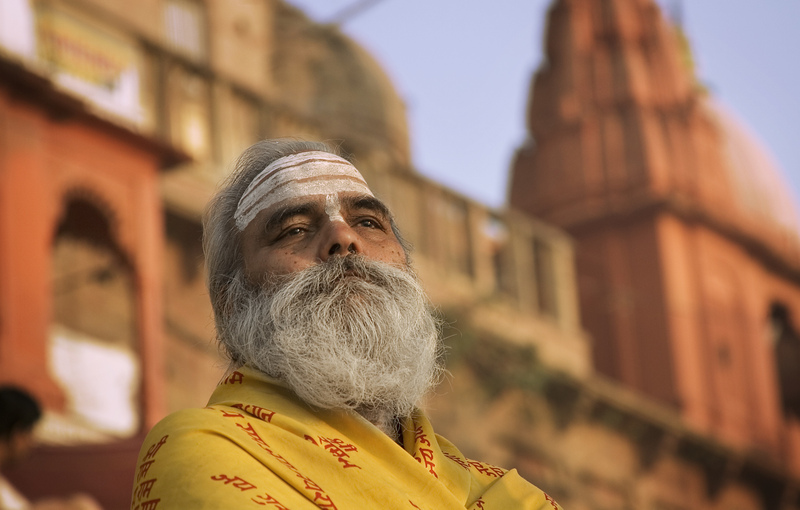 Rise early and return to the Ganges this morning for a sunrise boat ride. A sunrise boat ride is the highlight of a trip to Varanasi, when the temples along the riverfront are bathed in soft light. The people of Varanasi trickle out of the labyrinthine lanes and head for the ghats at dawn. Later, visit Sarnath – where Buddha preached his first sermon after enlightenment, and the old city – a maze of streets and alleys crammed with derelict palaces, homes, and hundreds of temples and shrine. Here you’ll see funeral processions, cows and goats munching on whatever they can find! You’ll also explore a winding lane known as Vishwanath Gali, which is lined with a multitude of shops selling all manner of religious objects. It leads to the city’s principal shrine, the Vishwanath Temple. Board a direct flight to Agra this morning. Upon arriving in Agra, the rest of the afternoon is at your leisure to enjoy your hotel and soak up the delights of the Oberoi Amarvilas. Nestled just a stones-throw from the Taj Mahal, the Oberoi Amarvilas affords a stunning view of the Taj Mahal from every room and suite, and is one of India’s finest luxury hotels. Without the restriction of visiting hours, you can catch the Taj Mahal peachy pink at dawn, glowing amber at sunset and glittering in the moonlight after dark. 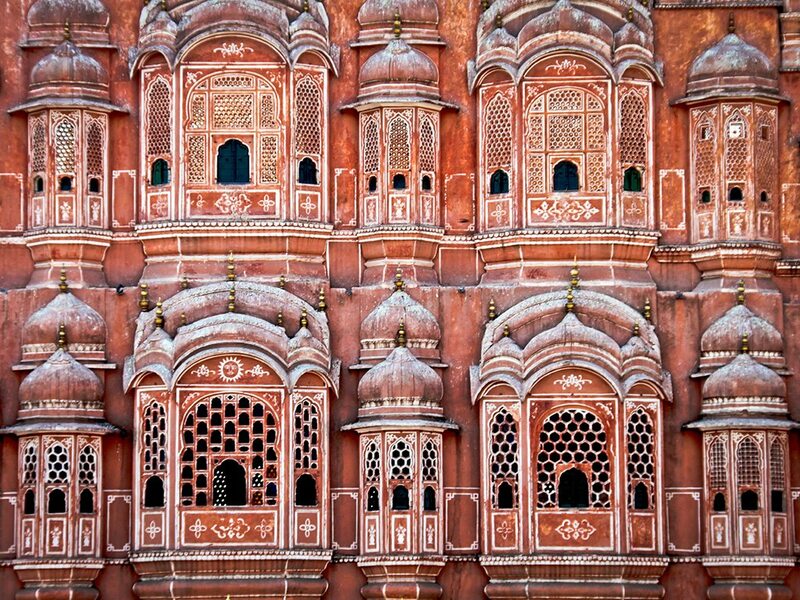 After breakfast, your chauffeur will drive you to Jaipur, also known as Rajasthan’s ‘Pink City’. En-route, we’d recommend stopping at Fatehpur Sikri to explore this intriguing 15th-century Mughal capital – interestingly, it was abandoned after just 14 years. When arriving into Jaipur, a representative of Indian Excursions will greet you at the Oberoi Rajvilas – one of India’s most spectacular luxury hotels. There’s not many hotels in the world where check-in involves a brightly painted elephant and a fragrant shower of rose petals, but then again the Oberoi Rajvilas does not settle for anything less than spectacular! The resort is almost a destination in itself, with sprawling gardens and a 250-year-old Hindu temple in the grounds. 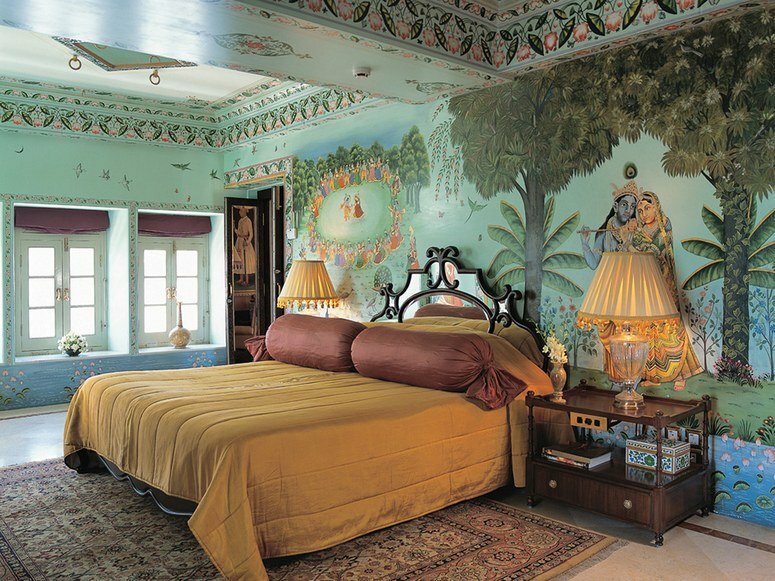 Ideal for those seeking a royal experience when in Rajasthan, the Oberoi Rajvilas is a highlight of any luxury tour of India. Today you’ll be exploring the best of the Pink City on a guided tour. 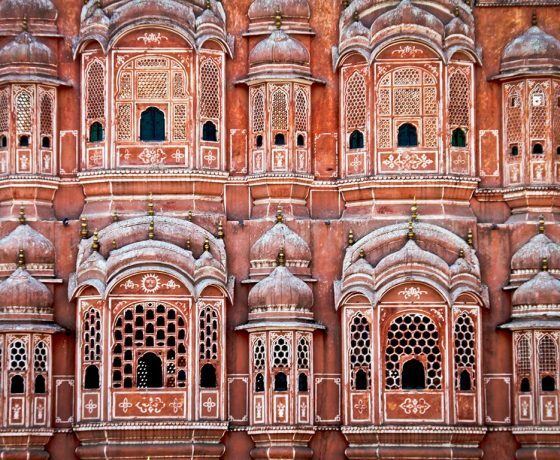 Jaipur is, for many, quintessential India at its best: expect a cacophony of sights and sounds, from splendid forts and glittering palaces to sauntering camels and brightly painted elephants, swirling moustaches and hot pink saris! 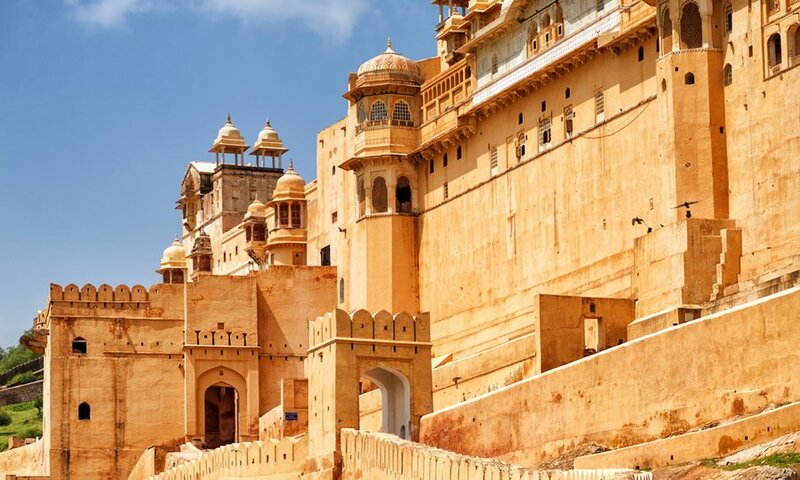 Highlights you’ll take in include Amber Fort, the City Palace, Hawa Mahal (aka the Palace of Winds), the Jantar Mantar Observatory, and the Jal Mahal water palace. On the thirteenth day, your luxury tour of India invites you to relax and enjoy the hotel, or explore further on your own – your chauffeur’s always available. You might like to take this opportunity to browse for interesting souvenirs in Jaipur’s famous markets and emporiums. When it comes to shopping, Jaipur has something for everyone: from elegant textiles to kitschy wooden camels, even the most frugal visitor is likely to leave the Pink City with one or two pieces tucked in their case. For a souvenir with local fair, we’d recommend a piece of semi-precious jewellery or blue pottery. Later, we suggest a visit to Dera Amer, for an unforgettable evening with elephants. Dera Amer is a peaceful spot on the rural outskirts of Jaipur, where guests are invited to spend time with these magnificent creatures, helping bathe and feed them, before taking a gentle ride together at sunset. If this doesn’t sound like your cup of tea, we have a number of other unique excursions available, from private cooking classes to hot air balloon rides. 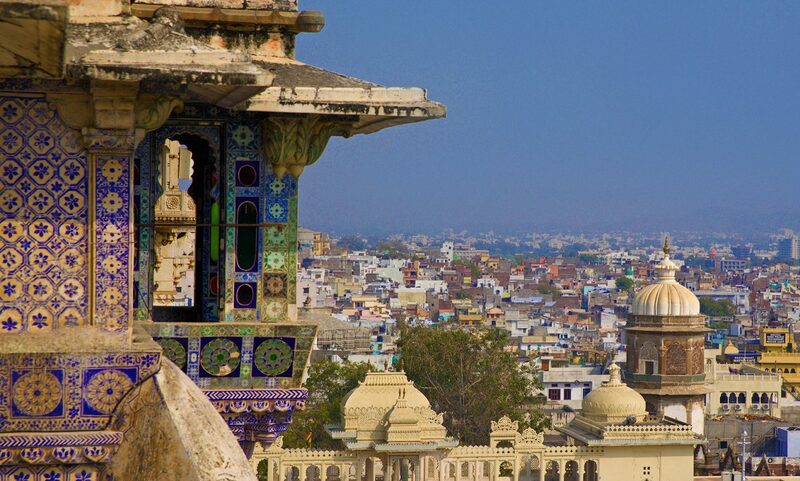 Board a short flight to the dreamy city of Udaipur this morning. Also known as the ‘Venice of the East’, Udaipur is abundant with lakes and ancient water palaces, drenched in history and romance. 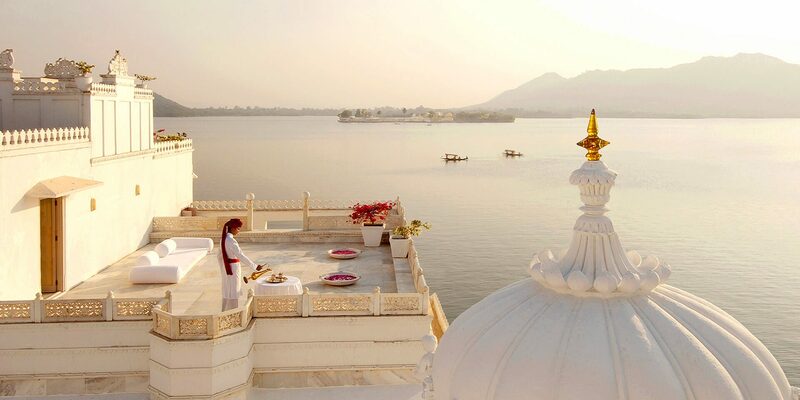 On arrival, you’ll take a short boat-ride over Lake Pichola to reach the iconic Taj Lake Palace. 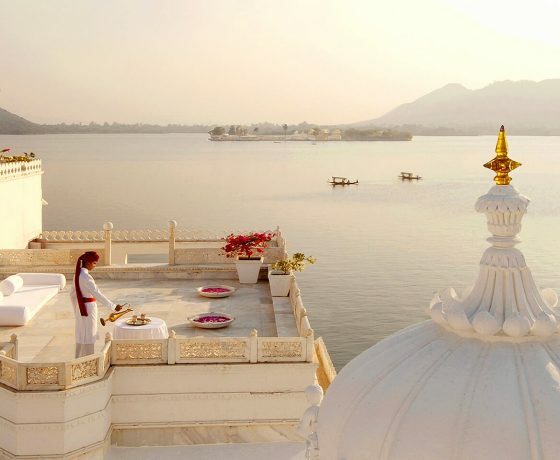 Originally built in the 17th century as a summer retreat, this dazzling and dream-like 250-year-old white marble palace appears to float like a mirage in the middle of Lake Pichola. The remainder of the day is at your leisure to enjoy your spectacular surroundings at one of the world’s most famous luxury hotels. If you can tear yourself away from the Taj Lake Palace, your guided tour of Udaipur will begin at the magnificent City Palace. 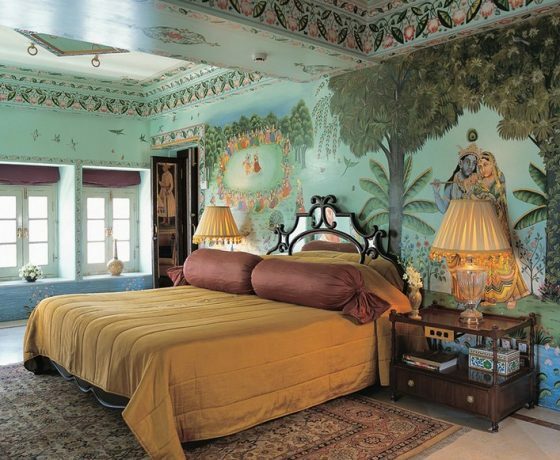 This sprawling palace is the largest in Rajasthan and stands on a ridge overlooking the lake. Cupolas crown its octagonal towers, which are connected by a maze of narrow passageways. The rooms inside the City Palace all contain decorative art: beautiful paintings, colourful enamel, inlay glass-work, and antique furniture. Later continue with a walking tour through the old city, where narrow, winding streets are teeming with shops selling clothing, silver jewellery, and leather-bound journals. Other highlights include the Jagdish Temple, Saheliyon ki Bari (a beautiful rose garden), and the Crystal Gallery. End your day on a truly special note with a private, sunset boat ride on Lake Pichola. The morning is free to relax and enjoy your surroundings at the fairy-tale like Lake Palace, but your chauffeur is always available if you’d like do to a bit of shopping. 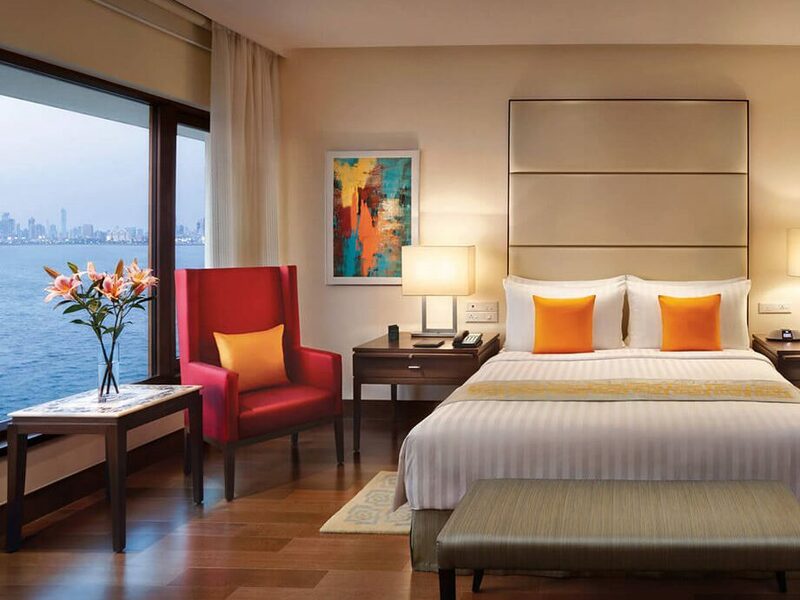 This afternoon, you’ll board a flight back to Delhi for an overnight stay at the Trident. Today you’ll be chauffeured back to Delhi IGI airport in time for your onward flight. 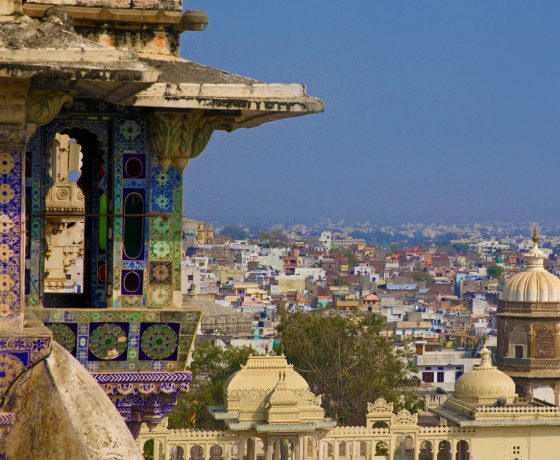 This additional stop is optional – you might prefer to connect directly from Udaipur. We’ll fine-tune this together to best suit your international flight arrangements. Our journeys are inclusive of accommodation with breakfast, internal flights and transfers, a private car with driver throughout, experienced guides, entrance tickets and excursions. In other words, we offer a seamless and hassle-free experience where the only thing you need to worry about is soaking up the sights and enjoying your luxury tour of India! This indicative cost is based on a couple travelling between October 2018 and March 2019, sharing a double or twin room. The cost would reduce significantly during the low-season months of April to September, whilst it would be noticeably higher during the peak Christmas and New Year period. Optionally, if you have an interest in wildlife may we recommend including a stop in Ranthambhore – between Agra and Jaipur – at the fabulous Oberoi Vanyavilas? Ranthambhore National Park offers the opportunity to spot wild Bengal tigers in their natural habitat on a Jeep safari through the reserve. Or, why not extend your luxury tour of India to the Blue City of Jodhpur, or into the Golden City of Jaisalmer for a two-night stay in the Thar Desert, in a luxury tent at The Serai? All our tours are private and tailor-made to complement your tastes and interests – the luxury tour of India described above is really just a starting point and together we can refine it into your ideal experience.